MMA Environmental helps organizations identify, quantify, manage and mitigate complex environmental risks. Environmental Compliance Audits – Identifying operating requirements for multi-media emissions and management of regulated substances. Environmental Management Systems – Developing world class management systems using technology, experience and tailored solutions to all industry sectors as well as institutional organizations. Claims Support & Loss Mitigation – Providing expert advisory services in crisis situations and controlling costs through experienced out-sourced management services. Expert Witness & Litigation Support – Serving as technical support and an expert witness alongside legal counsel in the defense of environmental claims and recovery of losses due to third party actions. Regulatory & Community Liaison – Supporting clients on special projects where creative and experienced technical support is needed to execute a strategic business plan. Merger & Acquisition – Environmental due diligence coordination and execution to establish a baseline of known conditions. Transaction Risk Solutions – Facilitating deal closing through the use of environmental risk identification, liability quantification and risk transfer solutions. Regulatory analysis of operational and legacy risks. Liability risk modeling and development of expected cash value (ecv). Environmental risk transfers, caps and buyouts. Post-Acquisition – Remediation fund escrow management, contracting of qualified professionals, program management and dispute resolution services. Full service environmental product placement support with our colleagues at Marsh. Customized documentation of known conditions liabilities. Portfolio liability "wind-down" through strategic management, buy-out and risk transfer alternatives. Oversight of progress towards liability elimination. Remediation project management and advisory services. 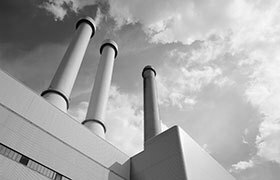 Read more about the Environmental Compliance and OSHA & EPA Compliance services offered through MMA Environmental.